Kauffmans' booth, featuring 677 items, including Kauffman's All-Natural Peach Jalapeno Jam, 9 Oz. Jar (9 Oz. 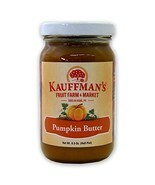 Jar), Kauffman's Homemade Pumpkin Butter, No Sugar Added, 17 Oz. 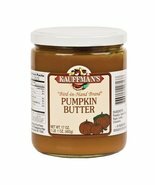 Jar (Case of 12), Kauffman's Homemade Pumpkin Butter, 17 Oz. 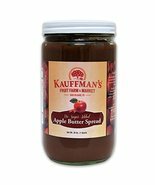 Jar (Pack of 2 Jars), Kauffman's Homemade Original Apple Butter, 8.5 Oz. 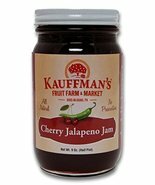 Jar, Kauffman's All-Natural Cherry Jalapeno Jam, 9 Oz. 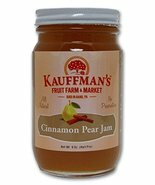 Jar, Kauffman's All-Natural Cinnamon Pear Jam, 9 Oz. 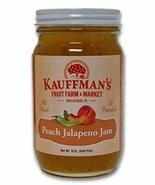 Jar, Kauffman's All-Natural Peach Jalapeno Jam, 9 Oz. Jar (Pack of 4 Jars), Kauffman's Homemade Original Apple Butter, 8.5 Oz. 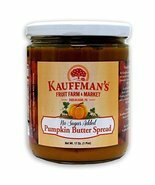 Jar (Pack of 2 Jars), Kauffman's Homemade Pumpkin Butter, 8.5 Oz. 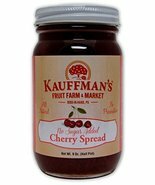 Jar, Kauffman's Cherry Fruit Spread, No Sugar Added, 9 Oz. Jar (Pack of 4), Kauffman's All-Natural Cherry Jalapeno Jam, 9 Oz. 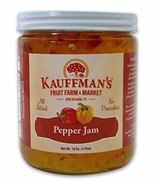 Jar (Pack of 2), Kauffman's All-Natural Hot Pepper Jam, 9 Oz. 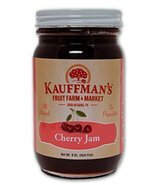 Jar, Kauffman's All-Natural Cherry Jam, 9 Oz. Jar (Pack of 4), Kauffman's Spiced Apple Butter, No Sugar Added, 34 Oz. 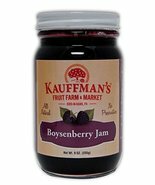 Jar, Kauffman's All-Natural Boysenberry Jam, 9 Oz. 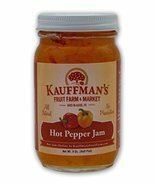 Jar, Kauffman's All-Natural Hot Pepper Jam, 18 Oz. 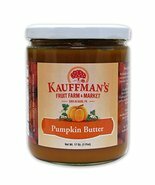 Jar (Pack of 4), Kauffman's Homemade Pumpkin Butter, 17 Oz. 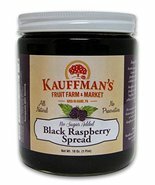 Jar (Pack of 6 Jars), Kauffman's Black Raspberry Fruit Spread, No Sugar Added, 18 Oz. 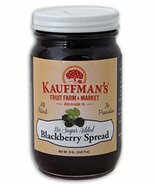 Jar, Kauffman's Blackberry Fruit Spread, No Sugar Added, 9 Oz. 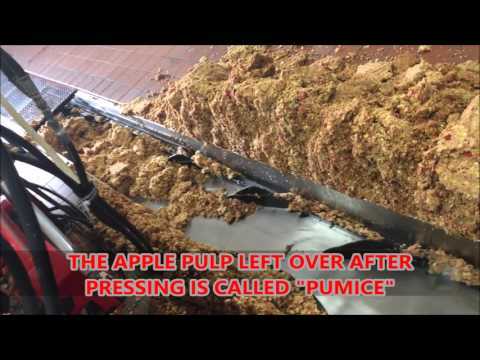 Jar (Pack of 4), Kauffman's Homemade Original Apple Butter, 17 Oz. 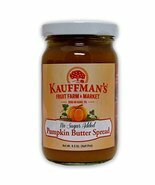 Jar (Pack of 6 Jars), Kauffman's Homemade Pumpkin Butter, No Sugar Added, 8.5 Oz. 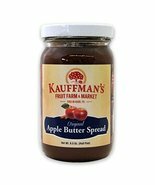 Jar (Pack of 2 Jars), Kauffman's Homemade Original Apple Butter, 17 Oz. 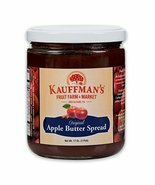 Jar (Pack of 2 Jars), Kauffman's Cherry Fruit Spread, No Sugar Added, 9 Oz. Jar, Kauffman's Homemade Pumpkin Butter, 8.5 Oz. Jar (Case of 12). Showing 169 products in "Jams, Jellies & Preserves"